William G Corbett D.M.D. (Staten Island) - Book Appointment Online! The staff was incredible helpful and friendly. 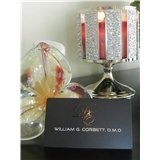 The wait wasn’t long and Dr. Corbett got the job done quick and efficiently.